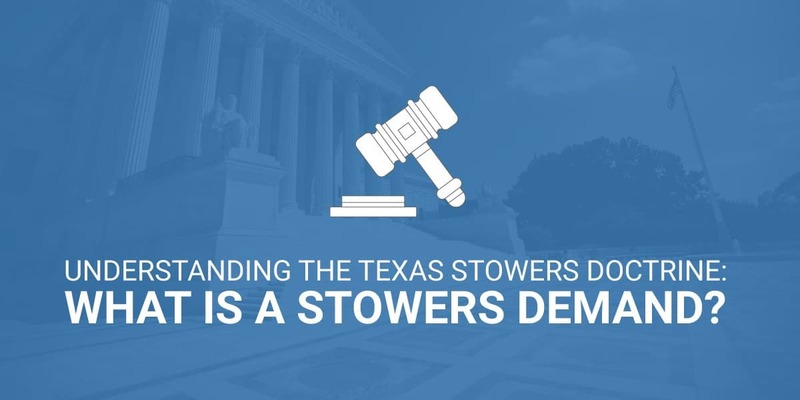 Understanding The Texas Stowers Doctrine: What Is A Stowers Demand? The Stowers doctrine is an important section of Texas law. Stowers doctrine has developed through many years of court rulings to help settle some of the issues that come up in car insurance settlement negotiations, and what can happen when a plaintiff is awarded damages greater than the amount of what the defendant’s insurance policy covers. What Is The Stowers Doctrine? The Stowers doctrine is unique to Texas law. Stowers duties emanate from an insurer’s control over the litigation and claim. It’s intended to protect the insured from abusive practices, and it requires insurance companies to act fairly when considering a settlement offer that falls within the limits of the policy. With this doctrine in place, if an insurance company rejects a reasonable offer within policy limits and a jury subsequently returns a verdict in excess of the policy limits, the insurance company may end up being on the hook for the entire verdict. This means the insurer and the defendant may be liable for paying the judgment including the amount that is above policy limits. As a Texas driver, you purchase auto insurance with the expectation that you will be covered for injuries or damages in the event of an accident. Drivers pay premiums to insurance companies with the understanding that claims will be handled as agreed and in a timely manner. Insurance companies often do whatever they can to avoid paying claims or at the very least, delay paying legitimate claims as long as possible. A Stowers demand is a way to put pressure on insurance companies to settle claims fairly or risk being liable for a judgment that exceeds the coverage amount. The reasoning behind the Stowers Doctrine is easier to understand when you think about what you pay insurance premiums for—the duty to protect. For example, if person “D” causes a car accident with person “P” and person P is injured, person P will attempt to settle with person D’s insurance carrier. The insurance carrier makes the final decision as to whether they will accept a settlement proposal from person P. If person D’s insurance carrier refuses to settle the claim then person P is forced to sue person D, who may have admitted it was their fault and asked their own insurance carrier to accept the settlement. Now, the Stowers Doctrine stands for the position that your insurance carrier has a duty to accept a settlement demand that is within the policy limits and that which a reasonable person would have accepted. In other words, because your insurance carrier typically controls the process in terms of accepting or rejecting a settlement demand and further in terms of litigation, including the selecting, hiring, and paying a defense attorney to represent their insured (person D in the above example), they have a corresponding duty of settling a covered claim within the policy limits which accompanies their right to control the process. The Stowers doctrine dates back to 1929 when the Texas Supreme Court decided a case between G.A. Stowers Furniture Company and American Indemnity Company. The furniture company had obtained auto liability coverage from American Indemnity in the amount of $5,000. An accident occurred involving an employee. A disabled truck was struck and overturned by a car with a woman passenger. This passenger was injured in the accident and sued G.A. Stowers Furniture for $20,000. The insurance policy included coverage for injuries caused by car accidents. Although coverage should have covered up to $5,000, American Indemnity offered a settlement that was only half as much as the coverage limit, and they went to court with the intention of trying to save money. This didn’t lead to the result they were hoping for. The provisions of the policy giving the indemnity company absolute and complete control of the litigation, as a matter of law, carried with it a corresponding duty and obligation, on the part of the indemnity company, to exercise that degree of care that a person of ordinary care and prudence would exercise under the same or similar circumstances, and a failure to exercise such care and prudence would be negligence on the part of the indemnity company. In other words, where an insurance company decides it wants to take a gamble while holding a bad hand and puts its insured (who has paid premiums sometimes for years) and a jury calls them on their bluff—returning a verdict that is higher than the policy limits—the Stowers Doctrine holds them accountable by punishing them for their bluff. Except, these car accidents aren’t poker games being played with chips, they involve real people and real injuries. That is why the Stowers Doctrine hits insurance companies in the only place they can feel, their pocket books. The decision made by the Texas Supreme Court in G.A. Stowers Furniture v. American Indemnity Co. established a standard that insurance companies in Texasare expected to abide by. 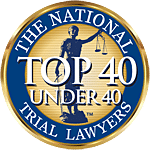 The plaintiff’s lawyer may send a letter that triggers timely evaluation and response to a settlement offer that falls within the limits of the auto insurance policy. This is known as a Stowers demand. The idea of the Stowers demand is that the third-party insurance carrier receives a demand letter which is time sensitive. It’s usually sent to the insurance company when liability is clear, and it’s sent in a way that receipt can be documented. There’s no specific form that must be used, but terms need to be clearly defined that indicate the time limit and the amount of the offer to release the insured from liability. For this demand to be valid, the amount demanded needs to be reasonably clear and it needs to be equal to or less than the limit of the policy. If there is any dispute about who is at fault and whether the defendant was actually responsible for the accident, a Stowers demand may not hold up. Although the Stowers doctrine was challenged several times since the 1920s, it has withstood the test of time. It was reaffirmed by the Texas Supreme court in 1994 and the exact requirements of a Stowers doctrine were clarified. The demand offers an unconditional full release. Not every claim is identical and some require careful review. One of the issues that sometimes comes up is having multiple claimants against the same policy. The Texas Supreme Court decided in 1994 that each claim needs to be evaluated separately. Once that’s done, the insurance company has the right to settle one claim even if it means putting an additional claim at a disadvantage. 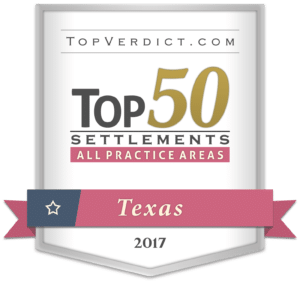 Indeed, the Texas Supreme Court encouraged settlement even if it exhausted a policy and went so far as to provide insurers who settled with one insured or claimant protection from Stowers liability. This means that the insurance company can enter into a reasonable settlement with one claimant, but not necessarily with all of them. It’s understood that entering into one reasonable settlement may reduce or exhaust the number of proceeds available for other claimants. In 1998, an additional aspect of the Stowers doctrine was clarified which pertains to hospital liens—adding a whole new set of requirements to Stowers demands. The Texas Supreme Court decided that liens have to be resolved or parties have to agree to resolve them out of settlement proceeds in order to be sure that there can be a final release. It can also be required that the hospital be a party to the release. If the plaintiff is deceased, all potential heirs need to be included in the release offer. The amount demanded in a Stowers demand has to be an offer of full and final release. If it doesn’t include this offer, it isn’t valid. For Stowers Demands to be valid, they require careful, clear, unambiguous, and certain language of what is being offered. If the insurance company won’t agree to settle the claim by the deadline, the accident victim may proceed to a jury trial. The insurance company will be aware that they are taking a risk because if the jury decides an appropriate settlement amount is one that exceeds policy limits. Both the insured and the insurance company can be found to be liable to pay this larger amount. Whenever an insurance company attempts to avoid paying a legitimate claim, an experienced personal injury lawyer will fight for their client all the way through trial and try to get a judgment that is higher than the policy limit. When you have been injured in an accident that is clearly someone else’s fault, you deserve to be compensated. It’s a good idea to consult an expert in the field of personal injury law. 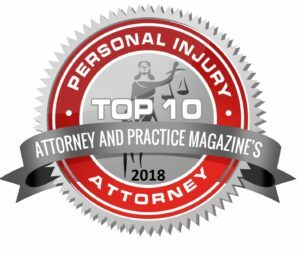 Contact Patterson Law Group by filling out the form on this page. 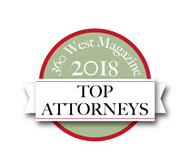 One of the members of our legal team will get back to you to discuss your accident and to answer any questions you might have, including whether the Texas Stowers doctrine might be something that could work in your favor. If utilized correctly, it can be an effective tool to pursue a judgment that is higher than policy limits. G.A. Stowers Furniture Co. v. American Indem. Co., 15 S.W.2d 544 (Tex. Comm’n App. 1929, holding approved) (emphasis supplied).